10) Marking notches with 1/8” nips. Sewing is a skill that can help you craft amazing creations both aesthetically pleasing and of practical use. Learning how to sew may seem daunting but this skill can be perfected with practice and some guidance. We have compiled some sewing tips that can help you bring a professional sheen to your creations. As you start learning how to sew, you may find that the quality of your work lacks a professional touch. You would notice this even more while comparing your work with items bought from the garment store. Differences will be noticeable that are both subtle and obvious. You’ll definitely need to practice more in order to improve your sewing skills. However, in addition to practice, you will also need to learn about certain best practices that will make your life easier. The best part is that many of these pro sewing tips are quite simple so you can start practicing them straight away. We often resort to time-saving shortcuts and tips hoping to reduce the hassle. Some shortcuts are counterproductive. You may save a little time but run into a lot of extra work to correct the faults produced by these shortcuts. You end up wasting time and doing extra work that could have been avoided with a little care. Remember, it is the simple tips that are often the best and most effective. Do you want to sew like a pro then? The end result of your work depends a lot on the raw materials that you use in its creation. There is a great temptation to use cheaper materials but this means compromising on the quality of your work. It is not a good idea to work so hard only to end up with an end product that is not particularly impressive. 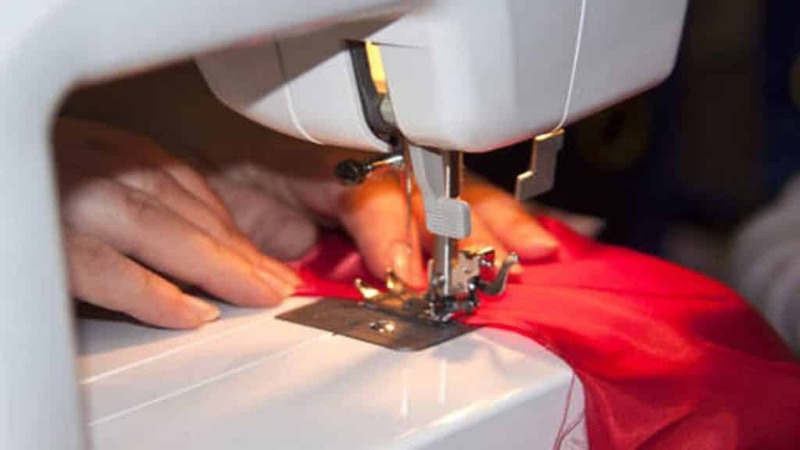 Following the best sewing tips and improving your sewing skills is not enough. You will not be satisfied with your work if you cut costs and use low-quality fabrics and threads. Some low-quality fabrics may appear good. However, their quality noticeably deteriorates after the first wash. Such materials must be avoided. There is no such thing as an all-purpose fabric. So, it is a good idea to learn about different types of fabrics when you start sewing. Learning how these fabrics work and their relative advantages and disadvantages will allow you to select the most suitable fabric for your sewing project. These have a matte texture with low sheen and little flexibility. When you are working with rayon, linen, and cotton whose weight varies between light and medium, you should use a cotton thread with medium thickness. This is most often used in quilting, patchwork, embroidery, decorative stitching, and heirloom sewing. 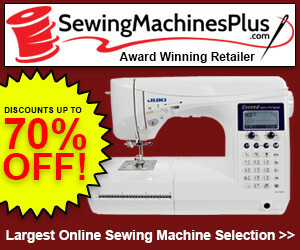 This is a great choice for a wide range of sewing projects. It comes close to an all-purpose thread. The thread is mildew and heat resistant in addition to being strong and colorfast. Polyester threads are often coated with silicone or wax finish to allow them to slide through the fabric easily. While these polyester threads are too bulky for much of your garment sewing projects, they are the most suitable choice for home decor projects. Silk threads are sensuously lustrous, smooth, and strong. They are a great choice for sewing wool and silk. These thread types are wrapped in a thin layer of metal. You can find varieties in copper, silver, and gold. You will require a different type of needle for metallic thread. The importance of thread quality cannot be overstated. Threads hold everything together in a garment. Just as you need to know about the different types of fabrics, you will also need to understand the different types of threads for producing work of good quality. A good idea is to use the Gutermann thread whenever it is possible to do so. Of course, different projects will require different types of threads so make sure that you learn about their main types. Keep your skill level in mind. If you are a beginner, you will definitely have a much harder time with sophisticated fabrics like satins and chiffon. You need higher sewing skills for such fabrics. The best choice for beginners is cottonthat is of light or medium weight. Not only is cotton durable, but it is also very inexpensive. So if you commit a mistake, it won’t cost you a lot of money. These fabrics also come in very attractive prints that will inspire you to sew. close look at labels on fabrics. Ask for help from the store assistant if you are in doubt. You will feel very tempted to skip this step. After all, washing is pure drudgery to most. Hardly anyone enjoys it. However, this step is necessary. It can make a big difference. Washing can remove extra dyes and chemicals. It will also prevent shrinkage after sewing which can spoil your finished work. It will also avoid puckering in fabrics which can be extremely annoying and unsightly. So prewashing can wash off plenty of problems in advance. You just need to realize that it is much easier to prewash rather than work out the problems that will arise later on. This will give you the motivation to prewash. Top-stitching can make many of your projects look much better. This type of stitching is done on the fabric’s right side. It can also be used to join two pieces together securely. Remember to carry out top-stitching at a quarter-inch distance from the edge. It may take some practice before you can make even-looking and clean stitches. The trick here is to start slow and build up speed as you gradually improve. You will soon get the hang of it. If you have started to learn top-stitching, then it is best to use the edge-stitching foot. There are many video tutorials to show how an edge-stitching foot can be used. For enclosed seams, you should remember to bring down seam allowances to quarter inch. Home sewing patterns often employ seam allowances of 5/8” which is basically too much for cuffs, collars, facing, plackets, and waistbands. Using this tip will save you plenty of time because you will have to do less clipping, notching, grading, and trimming for seams after you are done sewing. Your seams will definitely look neater and more professional. Your seams can be finished in a number of ways. The easiest way to do this is by using pinking shears to trim the seams. You can also choose other options like French seams, finishing off seams with the help of a serger or using zigzag stitches or overcast stitches along the seam edge. The trouble with zigzag and overcast stitches is that they don’t look particularly appealing. If you want a truly professional looking sewing project, you should use a serger to complete your interior seams. This may seem to be a bit of a hassle but it can make quite a difference. Prior to cutting pattern pieces out of your fabric, you should press it. If you skip pressing, you may cut out uneven pieces that don’t fit together very well. If you wish to get that crisp and clean look in your sewing work, then remember to press. You will know when to press from your pattern instructions. Thread that sticks out from the right side of your fabric is unsightly and very unappealing. It is always better to be a little meticulous and follow the correct details so that everything ends up looking perfect and neat. When you start to cut off extra thread, you should begin with the right side of the fabric. Trimming extra thread is perhaps the easiest way to make your projects look professional and clean. You should try to find matching thread color that will blend in well with your fabric. Thread color that closely matches fabric color won’t be noticed by others. If you use a thread that is noticeably different from the fabric, any mistake that you commit while stitching will become more apparent. Of course, there will be sewing design patterns where you want to use a different color thread to make the stitching stand out. You will then want a good contrast in colors to highlight the stitching. This depends in part upon the type of fabric you are using. However, for the most part, short stitch length will definitely serve you better since it greatly increases durability. With short stitch length, your seams will become long-lasting and more resistant to tearing. Many sewing machines will give the stitch length in millimeters. You will find that a stitch length of 2.4 mm works quite well in most cases. Your stitches will certainly look tidy and your sewing projects will be stronger. Machine tension is an often overlooked aspect. It is quite easy to miss out on this step. Still, you should know that setting the machine tension to the right amount can have a great impact on your sewing project. Perhaps you have noticed that your stitches are not coming out perfectly – there are several skipped stitches. They may be either too looe or too tight. You can expect your sewing machine’s average tension to be adjusted so that it suits many projects. However, you will have to change this setting in certain cases. When you buy a new sewing machine, the tension is set at a middle value. If your stitches are too tight or too loose, it is time to adjust the tension. You should first know how to identify high and low tension. If the tension is too much, the fabric will get crumpled as you keep sewing. If the tension is too low then the stitches will appear to be a bit loose and sloppy. Just turn the dial in the correct way until you get the right level of tightness. You will know that you have hit the mark when your stitches come out just fine. You can consult the manual to understand how to adjust settings. You shouldn’t waste your time by cutting out diamond shapes. Nips are way more precise. It is much less likely that they will weaken or fray the seams. These are the 10 tips that will prove to be immensely helpful for your stitching projects. To stitch like a pro you should practice a lot and also incorporate these tips into your sewing exercise. You will get there sooner than you think. Now that you have the top 10 sewing tips, you’ll be able to improve quickly. 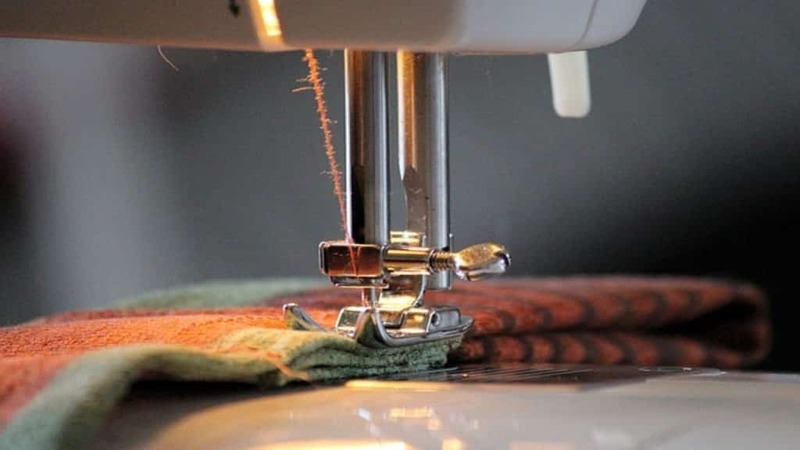 Put these sewing tips to work and become a better sewer in no time. They’ve worked for us.